Most of the councils submitting proposals to the DfT for money from the Safer Roads Fund worked with the Road Safety Foundation to use the International Road Assessment Programme (iRAP) tools to take a proactive risk management approach. This involved video surveying the roads, coding road features known to relate to crashes and their severity and using iRAP tools to direct the development of treatments. The total economic cost of the project over the 20 years will be £125 million: the initial £100 million capital investment plus £25 million of ongoing costs. Given the projected benefits of £550 million this means that for every £1 spent, there will be a societal benefit of £4.40. This demonstrates how road safety interventions can compete favourably with other major transport projects. “The dedication of the Local Authority teams has been truly exceptional, and together these schemes are estimated to save around 1,450 lives and serious injuries throughout their 20-year economic life. That means there are 1,450 families who won’t need to care for, or worse grieve for, a loved one because of this investment. Lord Whitty will be hosting a special senior-level briefing in the House of Lords on 30th October 2018 when the charity will publish and present the Road Safety Foundation’s GB EuroRAP Results 2018. These results track the improving safety performance, or otherwise, of thousands of sections of British main roads. This year’s results have again been sponsored by Ageas UK, one of the UK’s largest motor insurers. 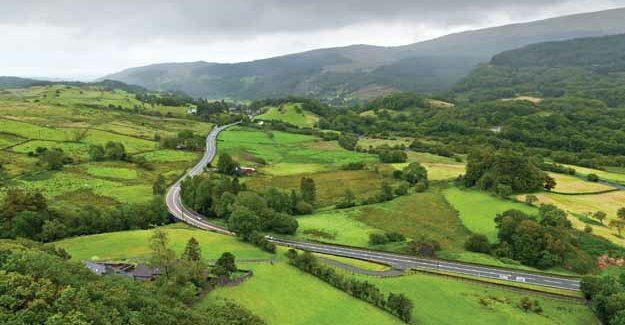 Here, on two high-risk sections of road totalling nearly 14 miles, a capital spend of £2.3million is projected to save 51 fatalities and serious injuries and deliver a net present value of safety benefit of £20.6million over the next 20 years. Measures to be introduced include improved pedestrian crossings; bicycle facilities; improved junctions, surfaces, bends, medians and roadside shoulders; and cleared or protected roadsides. These measures are estimated to generate a BCR of 7.6. Proposals to improve this 7.5-mile road section include improvements to pedestrian crossings, bicycle facilities, bends, junctions, surfaces, medians, roadside shoulders and clearing or protecting roadsides. On 13 June 2018 the Department for Transport announced the successful bids for the Safer Roads Fund which was made available to enable local authorities to improve the 50 most dangerous stretches of A roads in England. In the event, one council decided not to apply for the funding on offer because it had already started improvement work on one of the risky roads it is responsible for, while another two stretches of road in the top 50 were treated as one for the purposes of the scheme, giving a total of 48 schemes which is the number referred to in the rest of this press release. There follows below a list of all the 48 schemes benefitting from funding.